Now that you have chosen your special someone and have decided to get engaged, it's time to find that that perfect ring within your budget. If you go window shopping at local jewelry stores, you will notice that prices are very high compared to Novori Jewelry. 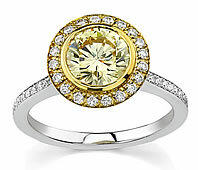 You may be very frustrated as to how can you choose the right ring within your budget and also save. 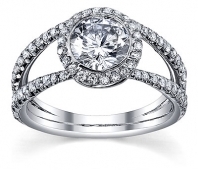 Here are a few tips that will help you to save on engagement rings and get best ring for your money. 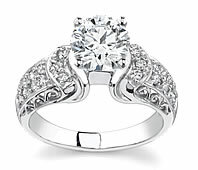 For great savings always shop online to buy the perfect engagement ring. You will always find better value for your money when you shop online verses the local mall. You can, and should, visit a local jewelry store but notice the limited selection and high prices. Someone has to pay for that nice store! Visit www.novori.com online and at your convenience to find what you like. Some other online retailers purchase overstock merchandise from large retailers. This should be avoided at all costs. At Novori Jewelry each jewelry piece is hand crafted for your order at great savings to you. We can customize the ring if you like. Just ask. For savings and value, shop online. When selecting a diamond, determine the clarity for your diamond within the best value range. Flawless, VVS1 & 2 (very, very slight), VS1 & 2 (very slight), to SI1 & 2 (slight) and finally I diamonds (imperfect). Novori does not sell diamond with a clarity of I as they have a high possibility of cracking and simply do not look nice. If you want to save money select a diamond with clarity SI1 to VS2 range. By doing this you will pay less than you would pay for a flawless or VVS1, 2 diamond and the differences in the diamond are not noticeable. At Novori, we will inspect any diamond you choose and let you know if there are visible inclusions. When selecting a diamond, find a diamond in the right color range. The color of the diamond is is given lesser importance than the other factors but should at least be in the near colorless range. The color range for diamonds is a letter grade from D (colorless) to Z (very yellow). Money can be saved by selecting a diamond in the F, G, H range. Novori does not sell any diamonds below the color J as they show too much color. You can save money by picking a diamond that is in the F, G, H range. 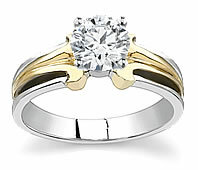 White and yellow gold comes in 10K, 14K, or 18k. 14K is harder than 18k gold. This means it wears better and does not scratch as easily. 18K is more valuable because it has more gold in it. Most rings we sell at Novori are 18k gold. 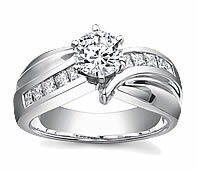 If you purchase 14k ring you will save money on the engagement ring. 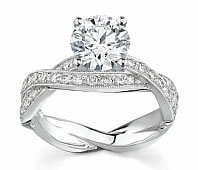 Save money on an engagement ring by purchasing the diamond and the setting from the same store and purchasing the wedding band at the same time. 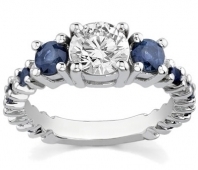 At Novori Jewelry, all rings are custom made and are sized, set and securely shipped to you. 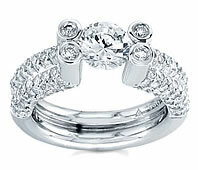 When you purchase the matching bridal set, you can save both on the ring price and on the shipping costs. At Novori Jewelry, the matching wedding bands are usually priced lower than if you purchased the individual rings at different times. 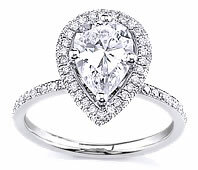 Have a jewelry expert assist you with your diamond purchase. 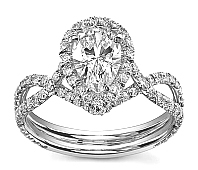 We can help you find the most affordable diamond engagement ring and help save you money. At Novori we have access to tens of thousands of diamonds and hundreds of settings and can find the perfect engagement ring within your budget. 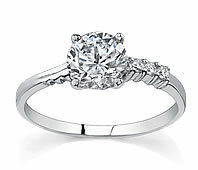 Let our experts help you save on your engagement ring. Remember, at Novori Jewelry, our rings are custom made for your order. Each ring is cast and carefully crafted in the USA, not cheaply mass produced overseas like some online stores. 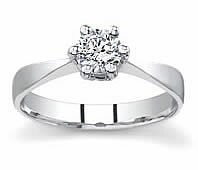 We can make changes to the style of your ring if you so choose and fit any ring size. You will get more VALUE for your dollar at Novori Jewelry than any jewelry store. That means savings for you or a bigger diamond on her finger - the choice is yours.